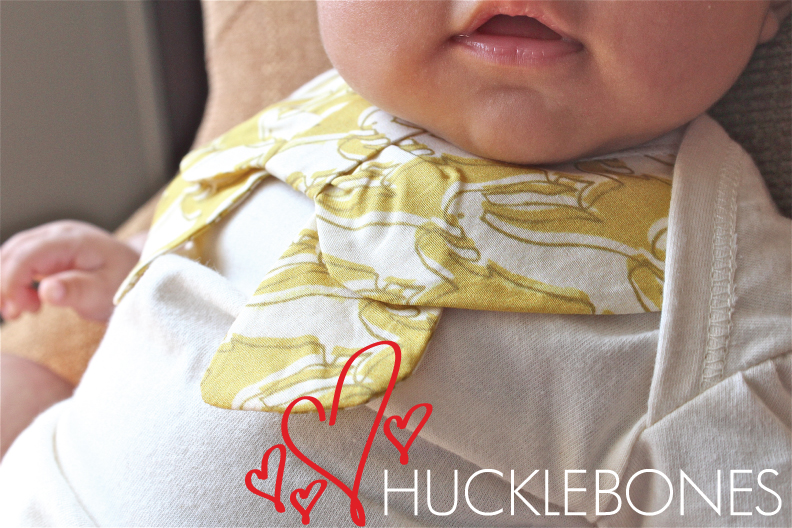 We love this bow collar onesie by Hucklebones! 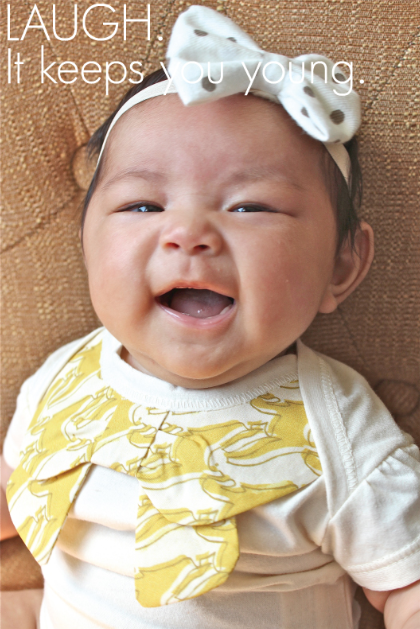 It’s such a nice twist to a basic onesie! 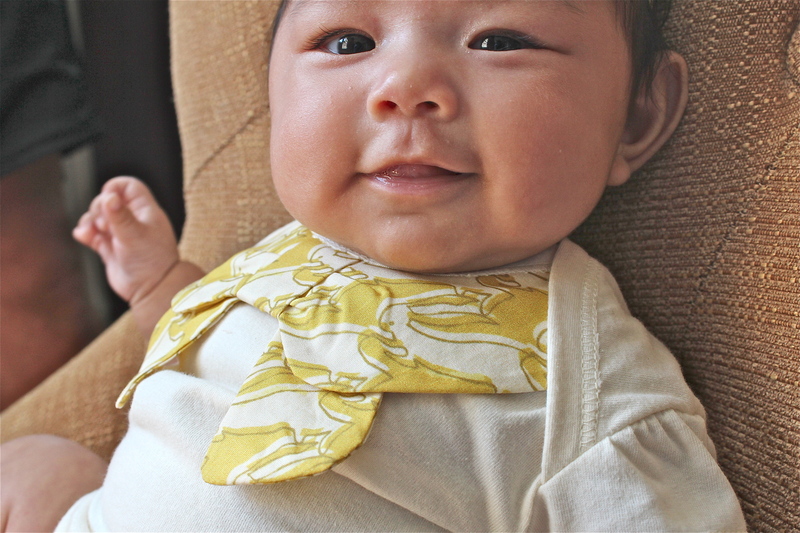 🙂 You can snag this fancy piece here! 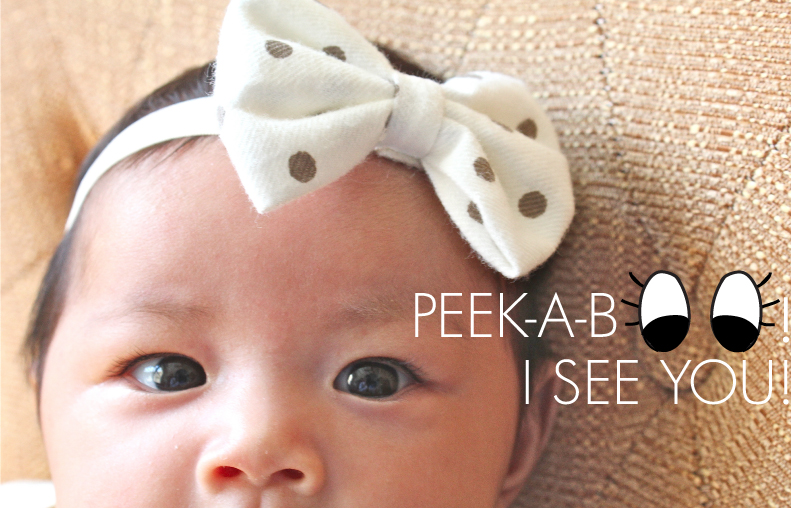 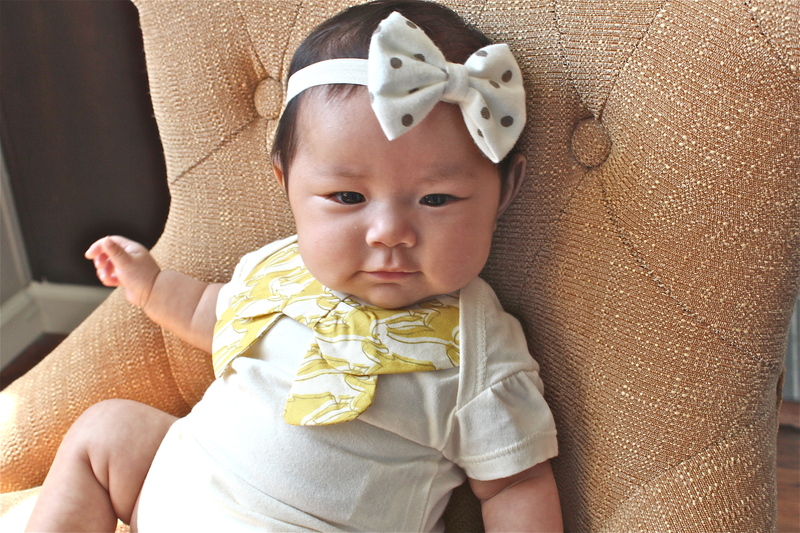 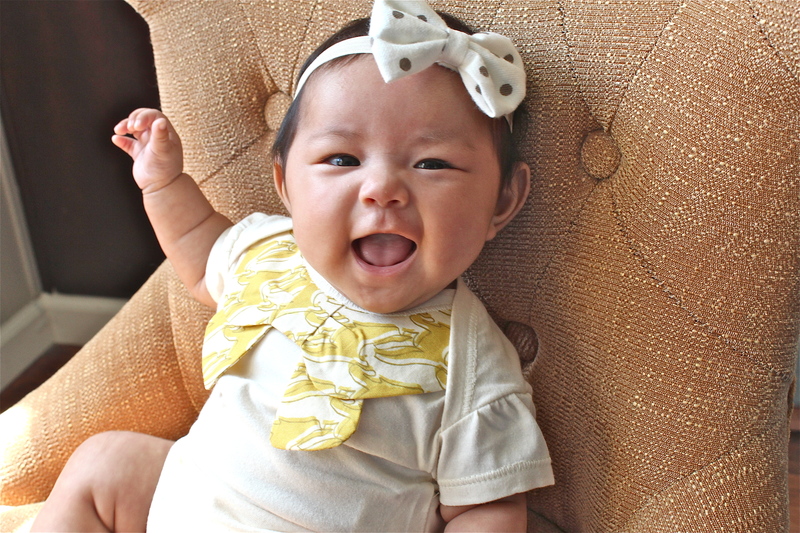 We’ve even accessorized this pretty baby with a polk-a-dot bow headband designed by Handmade by Sara Kim!